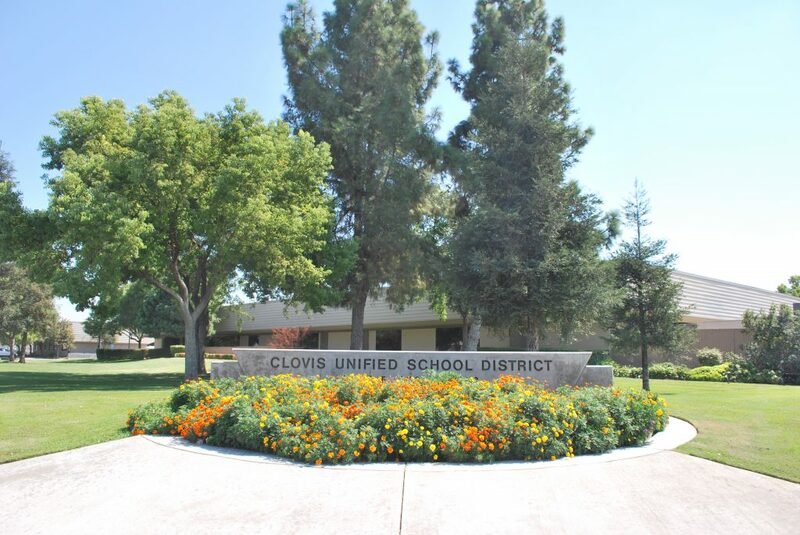 The Clovis Unified School District administered the Oath of Office to three board members who were voted onto the governing board in the Nov. 6 election. The newly-elected board members Susan Hatmaker, Betsy Sandoval and Tiffany Stoker Madsen were sworn in at the CUSD board meeting on Wednesday, Dec. 12. Hatmaker won the seat in Area 1 after winning against incumbent Sandy Bengel Budd, who served on the board since 1993. Madsen took the seat from outgoing trustee Jim Van Volkinburg in Area 3. Sandoval ran unopposed in Area 6. Also at the board meeting on Dec. 12, CUSD held its annual election of governing board officers for 2018-19. The board nominated Brian Heryford as president. The other nominations included Christopher Casado as vice president and Steven G. Fogg as clerk. CUSD’s meeting included a holiday presentation from Clovis East High School students, who performed “Just a Kiss” by Lady Antebellum and arranged by Musae under the direction of Carlin Truong. Both choirs then joined together to perform “Veni Veni Emmanuel” by Michael John Trotta. Darin Tockey, Assistant Superintendent for the Clovis North Area, presented the Knightscope Security Grant proposal, a pilot program that uses robotic security devices. CUSD is considering the pilot opportunity to evaluate the efficiency and cost effectiveness of the safety system.